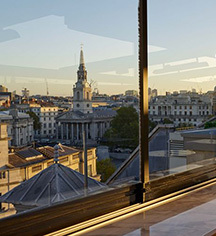 For a premiere meeting or event, choose The Trafalgar St. James London, Curio Collection by Hilton. Choose from six unique locations with their own distinct touches. The Biblio’s private dining area can be used for a birthday dinner or boardroom meeting, fitting up to 22 guests at a time. The Biblio can fit up to 80 guests for a wide array of social events. The gorgeous Rooftop is a wonderful setting for a cocktail hour before or after an event, or the event itself, with room for up to 180. 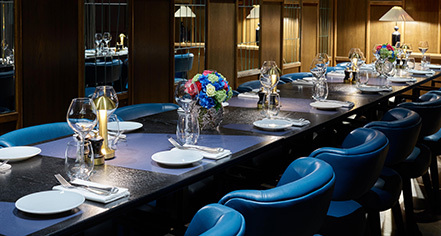 Host a grand affair for 200 in The Trafalgar Dining Rooms. A specialist event team is with clients all along the way from planning to execution to ensure a worry-free affair.